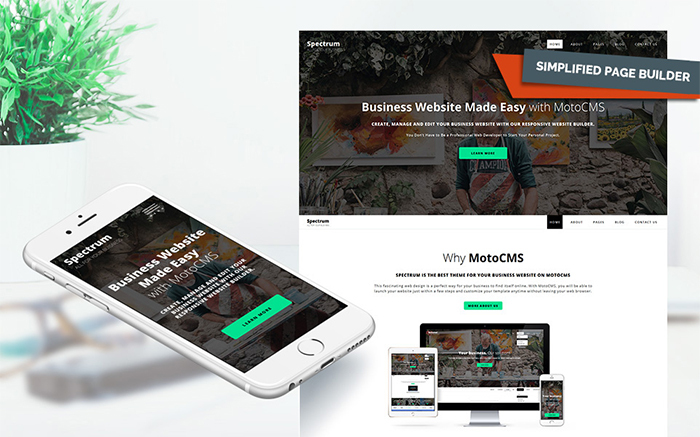 Featured today is a guest blog from our new friends, the folks at TemplateMonster, a group of talented web designers and developers, "using everything they have learned to help you build amazing websites the right way." This round-up is absolutely special. It contains six flagship templates for TemplateMonster. The themes are really awesome; you can build absolutely everything out of them. The variety of their features strikes the imagination. The themes are powered by different engines, so choice depends on requirements. To start a website or blog - choose WordPress, Joomla, HTML, or Moto CMS. Or to launch an eCommerce store, choose PrestaShop or Magento. The best thing is people don't need in-depth technical skills to breathe life into their project, since TemplateMonster's professionals have done all the complex work. Websites will look good on all modern gadgets screens as all of them are responsive and cross browser compatible. But that's not all. Your websites will be ranked high in all popular search engines. 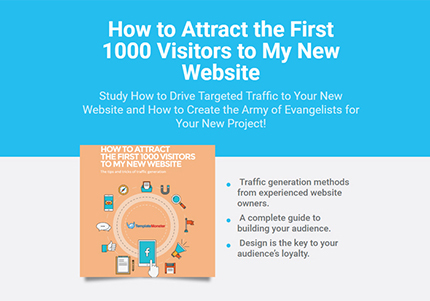 So, your visitors will easily find them on the web. The layouts of your websites will look modern for years to come. Your products and services will be perfectly presented on your web pages thanks to sliders, videos, quick view, carousel, product zoom, etc. MegaMenu, Ajax search, and multiple filters will help the visitors find exactly what they need quickly. Do read and view the information about each flagman to decide which works best for you. Who knows, maybe you'll find your perfect web design and development kit here. By the way, a pleasant surprise is waiting for you at the end of this round-up — a free e-book about how to start your website in 2016. This incredibly powerful solution for a website or blog can also become a fully-fledged store thanks to VirtueMart integration. The theme comes with a whole web UI kit, so it will be easy to tweak its layout. It is shipped with multiple pre-designed pages, color schemes configurator, allowing to change the palette of your site interface with only one click. Home landing page is also available as well as multiple blog variants. The theme features a fully responsive design, it is SEO-friendly. The theme offers an integrated Kunena forum, pricing tables, and Komento component. The theme allows building responsive slideshows of your products and services with Swiper Slider. 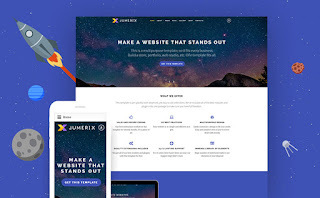 Jumerix is supplied with Mega Menu, you can embed YouTube videos into your web pages. Font icons, Google fonts, Preloader, Social icons, Online chat, Social login, and Less will take care of great user experience on your site. Jumerix is optimized for speed, so your pages will load lightning-fast. TemplateMonster names Intense the #1 HTML template of all time. It's not surprising as the number of template's features is numerous. We will recap the major ones here. 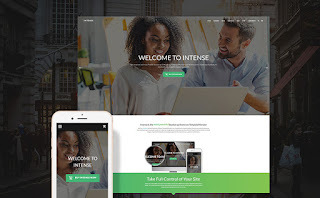 The theme comes with 250+ HTML files, 10 Home Layouts and Demos, 13 Header & 4 Footer Styles, 10+ eCommerce Shop Templates, 30+ Blog Templates, 20+ Portfolio Templates, 60+ Reusable Elements, 2000+ Font Icons, 190+ PSD Files, Event Templates + Calendars, SCSS, Jade Available, Working Ajax Forms, Widgetized Mega Menu, Responsive Slider, Responsive and Retina, Various Additional Relates Pages, Customizable Video & Audio Players, Unlimited Skins and Colors, Touch Swipe Photo Gallery, Complex Social Integration, Smooth Parallax Scrolling + HTML5 Videos, Advanced Video background, Unlimited Skins and Colors, Additional Responsive Flex Grid System and Units, and many others. This advanced Magento 2 theme will become a profitable online fashion and beauty store. It has a full set of features requisite for contemporary eCommerce project. Vini is equipped with Megamenu, Ajax compare, Ajax filter, Unique product page, Unique catalog page, Configurable swatches, Sass, Responsive design, Sticky header, Slider, Crossbrowser compatibility, PSD source files included. In a word, this extensive set of practical features will make your e-business a success by all means. 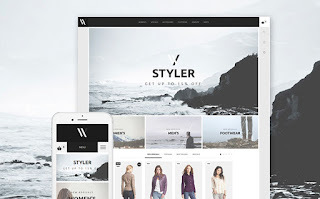 Styler is a perfect fit for clothing and apparel stores. The theme is responsive, multilingual, which will help you expand your product market. Color Schemes feature allows you change the palette of your site interface with one click only. 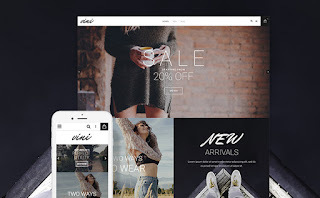 The theme is also equipped with Lazy Load, Ajax Search, Blog, Stick-to-Top Menu, Parallax Scrolling, Megafooter, Megamenu, Tabs, Newsletter Subscription Pop-up, Login Dropdown & Social Login, Custom Block, Deal of the day, Quick view, Carousel, Product Zoom, Product Image Pop-up, Customers Also Viewed, Categories Badges, Badges, Product Filter, Product Sort, Accessories, Product Pack, Favorite Products, Suppliers, and YouTube video. Not bad, yea? Need an all-in-one solution for your business website? Then, Spectrum is the right choice. No coding skills are needed. Just drag and drop elements to build your web pages. Your website will look perfect on any device thanks to its responsive nature. The theme features a handy layout, conversion-optimized elements, and user-friendly navigation. 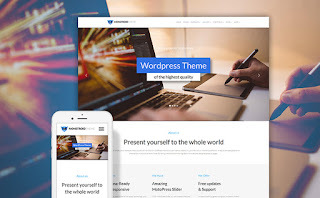 Theme package includes 19 ready-to-use pages, 4 additional home pages, and personal blog. Regular updates are included into template's package. Theme editing is made via an easy-to-use admin panel. Fascinating widgets, subscription form, presets builder, Google fonts & color picker, SEO integration, White Label, and 24/7 support are all in this template package. This round-up of TemplateMonster's flagship templates ends up with a pleasant bonus. You can download an e-book written by industry professionals for free. 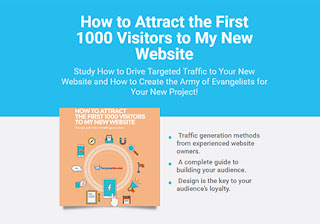 The book covers main aspects of starting a website in 2016. We believe it will come in handy both for newbies and those entrepreneurs who want to be up-to-date running their online business. A big square box. This was how our older daughter described our home as a teen. Through those oh-so-jaded eyes our century-old Italianate was severely lacking in personality. While I couldn't argue that the lines weren't simple and the details minimal, it was the character and charm of the interior that had captivated me. 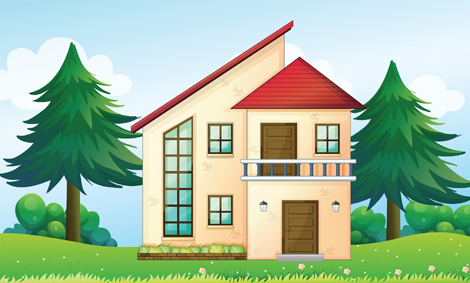 Trim, such as nothing you'd ever find in a house today, a spacious country kitchen and lots of bedrooms had me thinking very little about curb appeal when we decided to buy it. This memory comes as lately houses have been getting a lot of attention in our family. It starts with our younger daughter and her husband. They are persistently on the lookout for a forever home — something that will meet the needs of their growing family. With things like closet space for example. Their current abode is a post-First World War dwelling, with homey front porch, gabled attic and tall windows. It too has all of the solid wood trim that my husband and I found so attractive in our house. But it's small in stature and short on storage. It was with the arrival of their first child two years ago, and the accompanying essential accoutrements that the search for spacious began. Since their heart is with their first home together, though, it's been a reluctant hunt. It's not long after one catches their eye that they find a reason not to change their mind it seems. Our two sons on the other hand have recently bought new houses, without any looking back. The older, suddenly single after 12 years of marriage, is thrilled with the easy maintenance of his new condo. While the interior is basic, the exterior is an impressive architectural gem which at first appearance looks like a massive Victorian. That is until you happen to notice there are four front doors. When it comes to getting attention for curb appeal, however, props will go to our younger son. While he had looked at a variety of places in a variety of styles — from vintage ranches to charming Tudors, he and his fiancée opted for a quirky cottage-style structure built into a hill. A rolling front lawn features pretty landscaping (incorporated we suspect to avoid mowing), while jutting balconies offer vantage points from the house. Though the front door is tucked down beneath the main part of the building, wooden stairs and decking wind around the house to a back patio for those who prefer a scenic route. Asked to come and give it a once over and our opinion, my husband and I noted that it suited them perfectly, though figuratively shaking our heads at its impracticality. What would be deal breakers for us, however, were nothing for a couple searching for a great starter, solid but with personality. Returning home, the realities of the very different types of homes our children have chosen (our other daughter lives in a rambling split-level on 25 acres) sparked some conversation. What we found interesting is that it's the child who is the most artistic, the most free-spirited, the most unique, who has fallen in love with an old traditional house full of closed spaces and large baseboards. She was the art deco girl, the girl who yearned for a city loft or sleek condo. Conversely, we would have been less surprised by her older brother being in a log cabin in the country than in a new build with a row of houses tight beside him all looking the same. Then again, we also thought that the one who chose quirky would find himself an old Victorian with turrets and porches. And finally there's our older girl whom I always believed would be in a brand new house. I'm still pretty sure I got this one right, though. I'd bet the farm that some day that split level with be coming down in favour of a spiffy new open-concept bungalow. So given all of this I'm thinking that perhaps the saying you don't choose your house, it chooses you is accurate. It might not be the style you've always thought your wanted, it might lack some of the amenities you thought you needed. What it is though, is home, and you know it the moment you walk in the door.